Helpfully for collectors (and bloggers with nothing better to do), this engaging midtempo R&B swing number – written by lead singer Billy Gordon and one of his bandmates – was the B-side for both pressings of Whole Lotta Woman. Billy Gordon’s voice is still as raw and throaty as on the A-side when singing the lower bass/baritone phrases, but he shows himself to be the owner of a surprisingly smooth and clear tenor when the song calls for it. 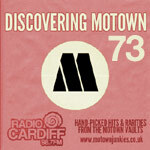 Driven along by a steady, rollicking drumbeat and some great understated sax work, it’s not complicated and nobody would call it an early Motown classic, but despite its simplicity this is an accomplished and assured early number which strangely feels much shorter than its actual length of more than two and a half minutes. Gordon wasn’t the best since, but the Contours definetly bring that “bad” image to Motown. I would have been a teen who bought this record. Both the A/B sides are raw and just sound like music your parents would tell you to turn OFF (lol). Come On and Be Mine does sound like a Sam Cooke joint but the Contours do an excellent job to show their soft side verdict earned!